Hori recently announced their latest iteration of the their Premium VLX arcade sticks with this latest entry that follows design cues from the latest Taito Vewlix C arcade cabinets. The VLX Hayabusa is compatible with PS4 and PS3 and is slated for a mid-February release, just in time for Street Fighter V. Our partners at Play-Asia have an amazing deal (cheaper than retail) for $234.99 (normally $300+) so don’t miss out! Clicking/purchasing through our link helps support this site. This entry was posted in News and tagged Arcade Stick, Arcade Sticks, Hayabusa, Hori, PlayStation 3, PlayStation 4, Sale on January 5, 2016 by SDTECHIN. Happy Holidays! I know it’s been awhile since we’ve posted up any arcade stick related news, but we’re BACK and now is a good time to be an arcade stick fan! This post is a collected listing of all the available arcade sticks & stores that have awesome products in stock for the holiday season! Click below for all the goods! This entry was posted in News, Site Update and tagged Arcade, Arcade Stick, Arcade Sticks, Community, FGC, Gaming on November 26, 2014 by MarkMan. 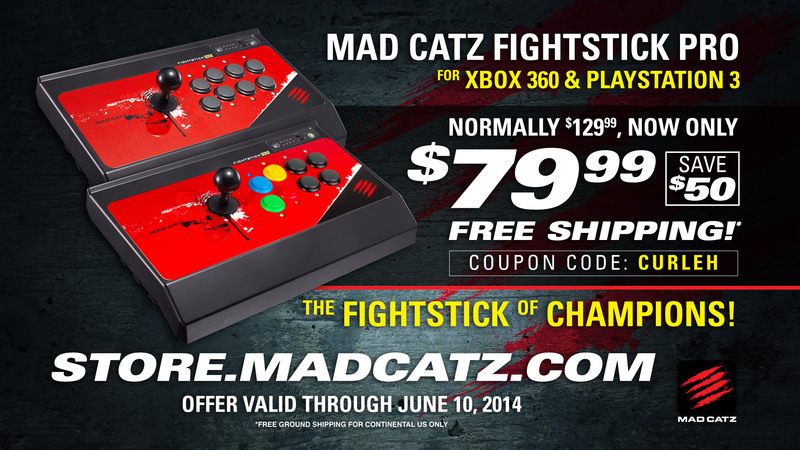 Mad Catz has an amazing deal going on right now for the Mad Catz FightStick PRO and FightStick KE! Click below for the links and promo deals! 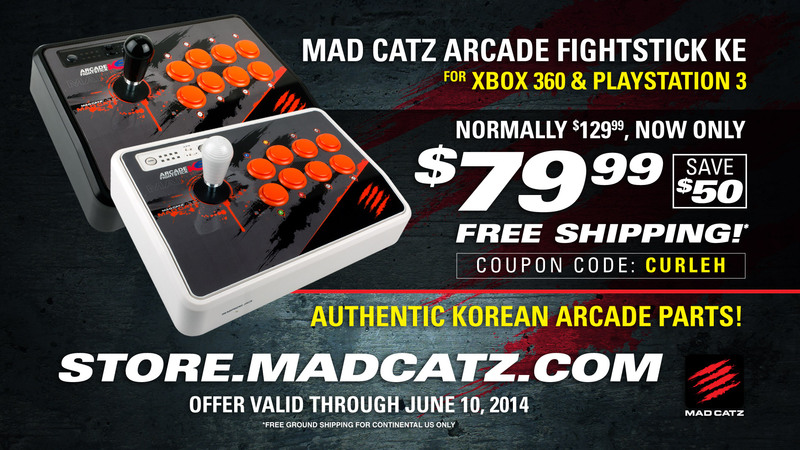 This entry was posted in News and tagged Arcade Stick, Arcade Sticks, FightStick KE, FightStick PRO, Mad Catz, Sale on June 6, 2014 by MarkMan. eTokki Omni Arcade Stick Rev. 5 Coming Soon! Ryan “Laugh” Ahn and eTokki recently announced that “Revision 5″ of their much-vaunted Omni arcade stick is now up for pre-order. This latest version brings with it improvements to the ruggedness of the case’s already proven design, including a revised metal fabrication process that allows for a stronger, tighter case construction. Click below for more details! This entry was posted in News and tagged Arcade Sticks, eTokki, Japanese, Korean, Omni, PlayStation 3, Preorder, Sale, Xbox 360 on April 8, 2014 by MarkMan.